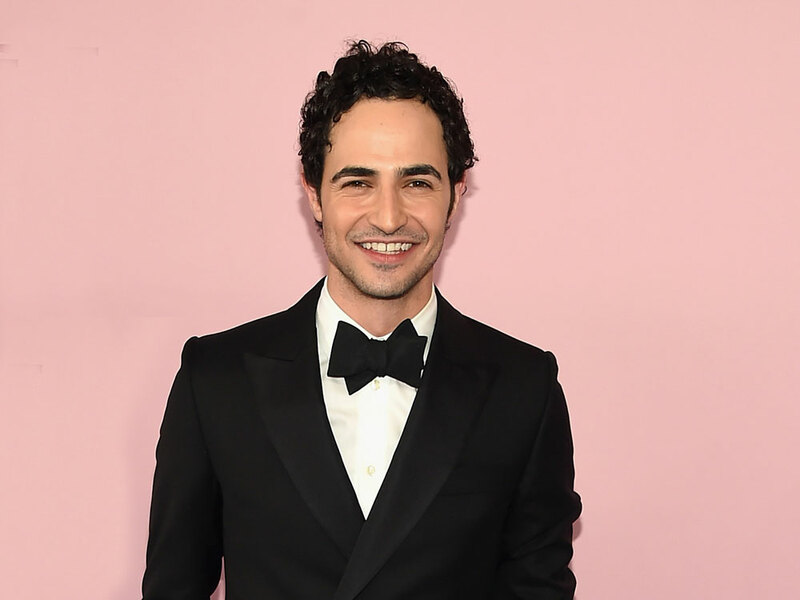 The lauded fashion designer and Project Runway judge—oh, and Instagram sensation—talks with F&W about the importance of a good meal. 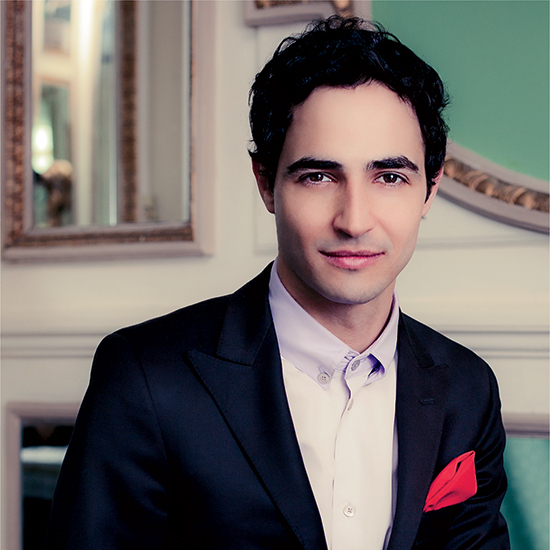 Zac Posen's 1,400,000 Instagram followers know that he is far from a one-trick pony. 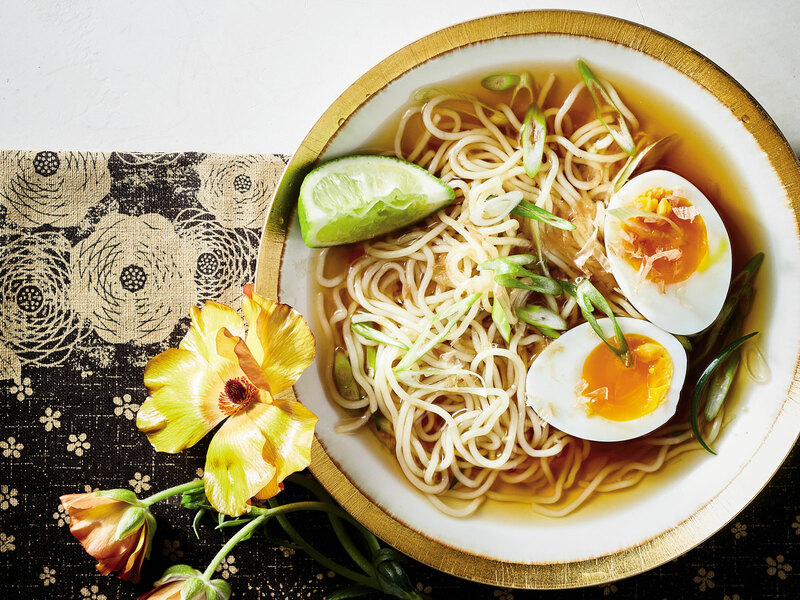 One look and you'll see—the lead of a global fashion brand, globe-trotting style icon, and judge on the hit show Project Runway—loves food. Baked goods, pots on the stove and freshly-harvested produce feature just as heavily on his feed as draped dress models and high-fashion photo shoots. And today, he's publishing a cookbook. 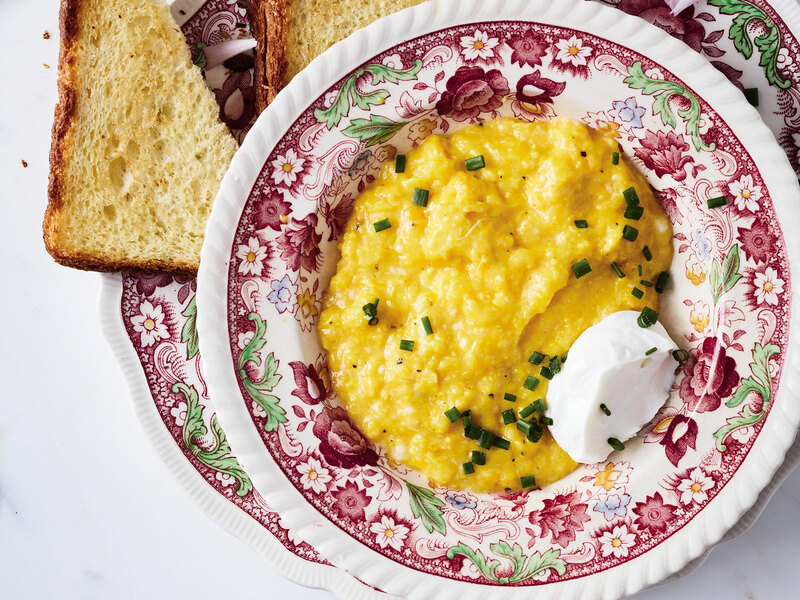 His food upbringing was all about family...and a few game-changing cookbooks. I’m not a trained chef—I’m totally self-taught. I came from a household where my dad—on the weekdays—would cook for us. My dad is an artist; half of the loft in SoHo that I grew up in was his studio, and the other half was our living space. So the process of food exploration and cooking was very important in my household. Also, our location was a big source of inspiration—sourcing ingredients from living in lower Manhattan, which primarily meant Chinatown, exploring more Asian ingredients; going to the greenmarket in New York, and learning and understanding produce there, fresh seafood; Little Italy. My parents met in the ‘60s in Florence. They’re both American—my mom is from the New York area and my dad is from St. Louis, Missouri—but their meeting in Italy started a real dialogue with food, generationally. They’re also avid New York Times readers, so the food section of the Times was always big for us. And they collected great cookbooks. I remember getting from my aunt, who is an incredible baker, the first printing of Martha Stewart's Entertaining, which was hugely influential—and another cookbook called La Varenne Pratique from the school in France. As a little boy, my mom would bake with me on the weekends—that was our time together. My first love of cooking definitely came from baking—as a teenager, I would bake incredibly elaborate, multi-step, sometimes multi-day cakes and desserts. 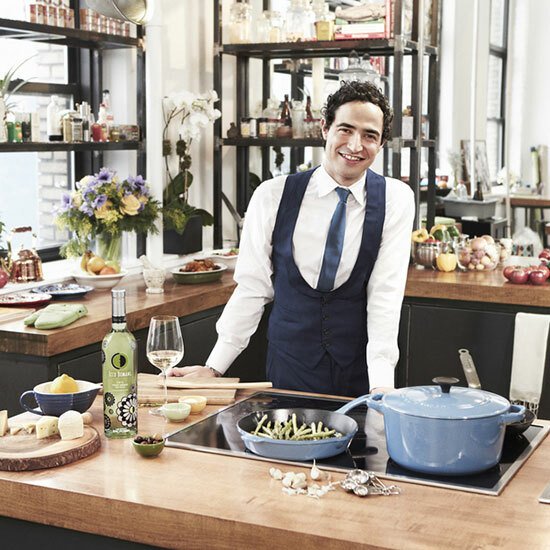 Yes, he does see some intersections between his cooking and his career in fashion. Any creative process takes research, takes preparation, takes trial and error, practice, technique. In general, [food and fashion] are both expressive mediums. It’s about taking you on a journey. It’s about sharing. Obviously, I like very beautiful food, because I think as delicious as food has to taste, it also has to look very beautiful—the process of presentation is very important. I think that maybe growing up and being dyslexic early on, the visual quality of cookbooks specifically was something very enticing to me. And the book came about, really, from posting what I cook at home on Instagram—all of a sudden I had a large food following. Writing this cookbook was a deeply personal process, and the recipes support the broader narrative of his experience with food. It’s been a lifetime—and then, two whole years—in the making. Certainly, over the years, I’ve been asked to work on all different types of books in fashion—and I hesitated because I really wanted to put out something that was personal. I wasn’t going to write a memoir because it’s way too early a stage to do that, even though I’ve lived a very colorful and passionate life. I took my spare time on weekends—because I also drape on my weekends, so it’s a kind of quiet, creative time—to sit down and start writing anecdotal stories on my relationship and journey with food. I put together like an 80-page manuscript, and then thought about where and how my recipes fit into that story—and then it kind of came to the place where I had to start putting my recipes to paper. In general, I don’t cook from recipes—I hadn’t ever really written down any of mine, except some family recipes. The process of not instinctually cooking can be challenging—working with my incredible collaborator Raquel Pelzel on recipe development was an enlightening learning experience, because I normally cook alone, so I had to become comfortable cooking alongside somebody and losing that self-consciousness. And I really wanted a well-rounded, eclectic book—I go from BBQ to a gluten-free buche de noel to a very simple Japanese pickle to my take on a spiced daal. I think this kind of fusion of world cuisine was authentic for me, so it felt like a true representation of my food profile. Each dish evokes a memory of a specific time in his life. I know when I cooked it first, what elements inspired it, where I was. In each part of the book, there is an essay or a small piece that connects it to different experiences in my life. I include my experience of growing my own ingredients, my travel experiences, growing up in NYC, and my journey getting to play with some incredible chefs who are the finest in the world. I drew from past experiences—for example, my parents had a friend who was a chef, who I would play with when I was little in Massachusetts in the Berkshires, experiences with my family, through my travels over the years as a designer, great cities and locations with good food. I relate a dish I make to a journey I’ve made. And a lot of writing I did with my mom and dad, talking about different family food experiences. As an object itself, to me, books today are such a rare entity—I want mine to be something where, if left on the kitchen table, a child could pick it up. It can visually tell a story. Or, if somebody’s not going to necessarily make the recipes, it still gives them a particular mood and inspires them to cook and entertain. I want something that feels very authentic and honest in terms of my relationship with food, and with the different seasons. For him, cooking and dining are all about curating an amazing experience—and hospitality is key. The scientific, molecular gastronomy aspect of food right now and the performance art aspect of dining is so exciting and fun. Eating out should be fun! I have to say, the new Grill at the Four Seasons is wonderful—I worked with the Major Food Group guys years ago on their uniforms for Carbone. I was a regular at the old Four Season for many years, but I think the group has done an amazing job—their crab cake is sensational, with thin layers of potato gratin underneath as a crust. It’s really one of the best in the city. You don’t want the experience to overpower the food and the ingredients, but it is really important—I think more than ever. We are living in an on-demand moment where people can really be insular in their homes, order something in and watch TV. That’s never going to match an experience, of actually cooking for yourself or ordering something in a restaurant. I love super traditional, fancy, old-school restaurants—and I also like avant-garde, experimental restaurants. Theatre should be entertaining, challenging—but at the end of the day, it has to have that interaction that pleases. That’s what I wanted to get to in Cooking with Zac—getting people to take joy in how they plate their food, in the exploration of new dishes, and in relating cooking to their own personal journey with food. The best thing he ate recently: This weekend, with the last tomato crop, I had delicious heirloom tomatoes. Don’t "eff" with a tomato. You don’t need anything on it, just a little sprinkle of sea salt. And we made delicious baby lamb chops on the grill, with just a sprinkling of curry. His favorite kitchen tools: I use my Williams Sonoma spatula all the time, and I also love my very large multi-pronged hand whisk. And, all summer, I use my Breville ice cream machine—so much fun. It’s a blast to experiment with new flavors, and a challenge to be patient you don’t just eat it right out of the machine. His ice cream obsession: Earlier in the spring, during currant season, I was making cassis and currant with yogurt—I love the bite of those high-vitamin-C acid drops. I also play with those spice components that I’m starting to see in savory ice creams. And I once had a tomato sorbet that kind of blew my mind—an early, early dish at Union Square Café, years ago. It was the palate cleanser, and it expanded my horizons with regard to texture, flavor, and temperature. 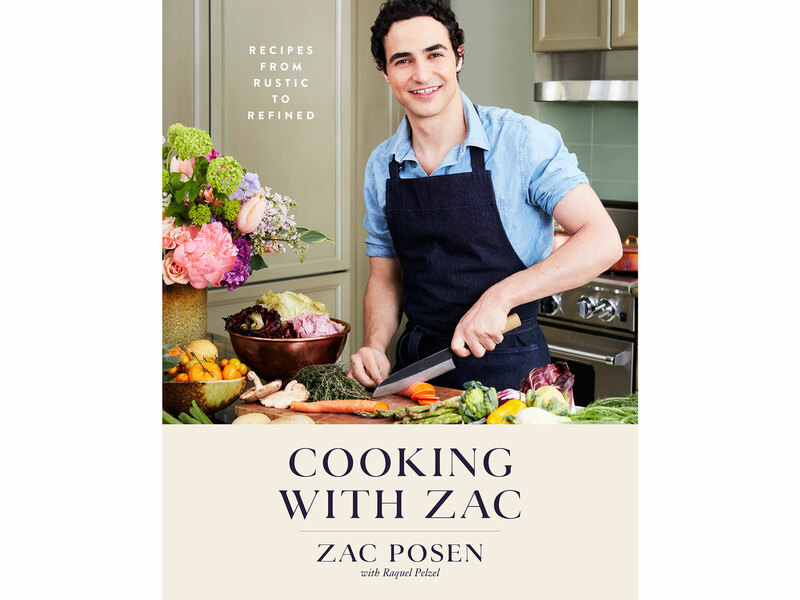 Cooking with Zac: Recipes from Rustic to Refined by Zac Posen is available at bookstores and for $24 on Amazon.com.